In the event of a storm, the area of your home or building that is most vulnerable is the roof. The purpose of the roof is to provide a protective barrier between the elements and the structure of your home. As the first line of defense, it is often the first to accumulate any damage. If the roof does sustain damage, it is vital to repair the problem as soon as possible to prevent further damage, such as water leaking into the home. In order to protect yourself financially, always make certain that your insurance will cover damages to the roof. 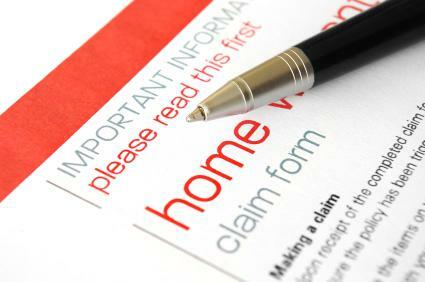 When choosing an insurance policy, do not hesitate to ask your agent plenty of questions pertaining to roof coverage. Ask the agent to clearly detail exactly which damage scenarios are covered by the policy. If there is a local roofing contractor whom you trust, ask this contractor which insurance companies seem to provide great coverage and support to homeowners. Roofing contractors work closely with insurance companies throughout many of roof damage claims, and have a strong understanding of how the process works. Once you have coverage in place, and your roof has sustained damage from a storm, you have a decision to make. You do not necessarily have to file a claim with your insurance right away, and in some cases, the storm damage may be very mild. If the repairs are only going to cost less than a couple hundred dollars, it will likely be easier and less expensive in the long-term to simply pay for the repairs yourself without filing a claim. Many roofing companies will provide free estimates to assess your damage. If there is a catastrophic storm, and your roof is visibly damaged, it is important to take action quickly to avoid further damage. The insurance company should be contacted immediately, as well as your local roofing contractor. The insurance company will likely have an adjuster contact you. This adjuster will send out an adjuster who will need to gather detailed information; they may need to visit the site, take photographs, and document the damage. If the roof damage is causing a leak, inform your insurance company that repairs need to be made immediately. The insurance company will likely provide an estimate for repairs, which you can then use to begin contracting the repair work out to a roofing contractor. Let the roofing contractor know how the insurance company will be paying for the repairs. Juneau Odenwald Roofing will work closely with your insurance company, providing all of the necessary documents needed to help you file your claim, without any additional cost. We can even help make sure the adjuster understands the damage that was done to the roof, and help with necessary paperwork upon request.